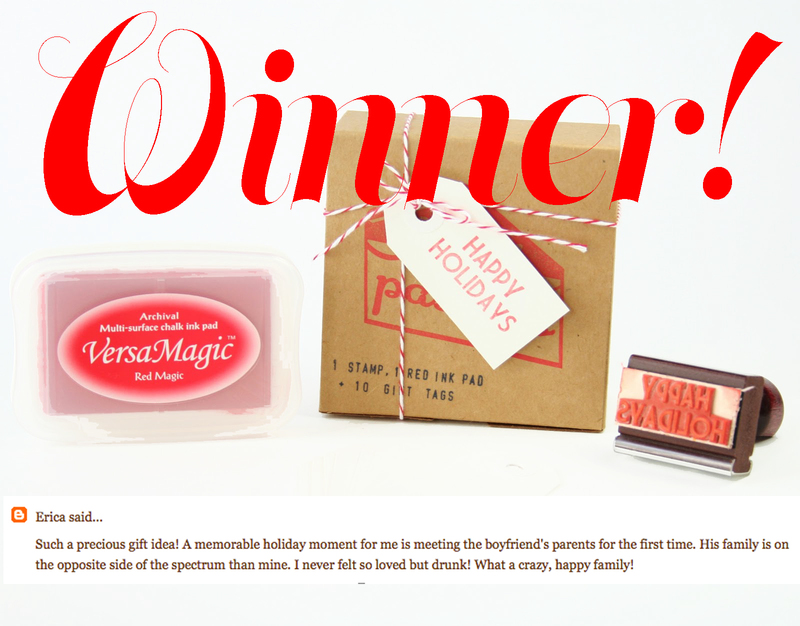 Thanks to everyone who entered the holiday stamp kit giveaway, I loved reading your holiday memories. Erica, you're the winner! Please email me which design you'd like (happy holidays or merry christmas) and where I should send it.